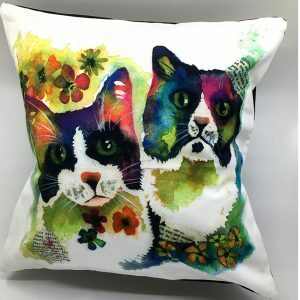 Colourful and playful pillow cover great for your sweet and soulful decor. 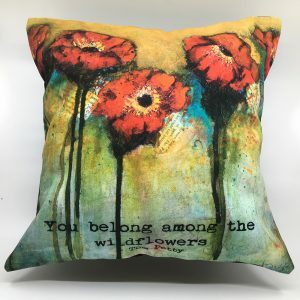 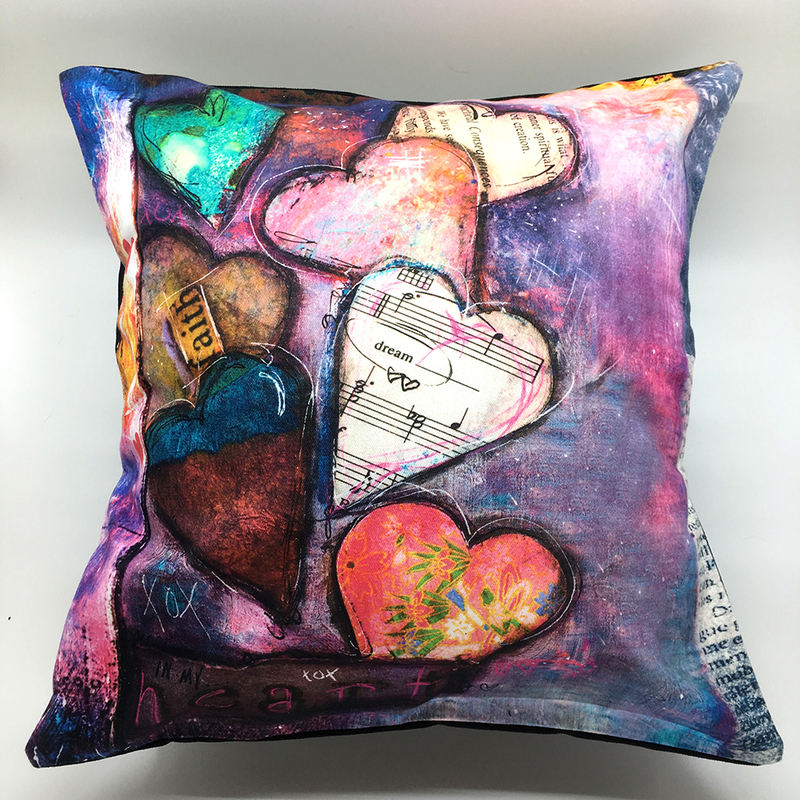 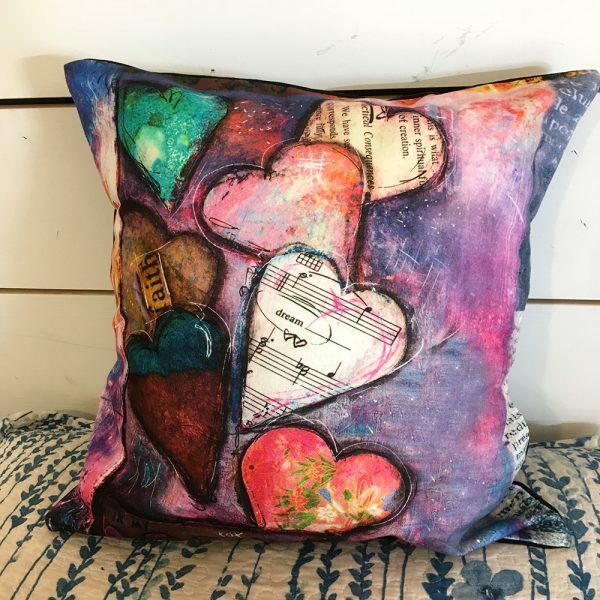 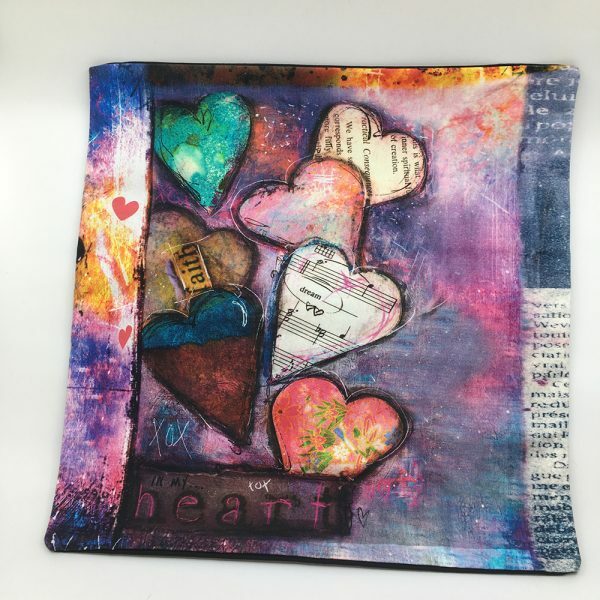 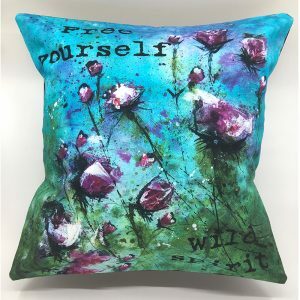 This colourful and playful heart pillow features original mixed media and collage art printed onto a soft 100% cotton “17×17” pillow cover great for your sweet and soulful decor. 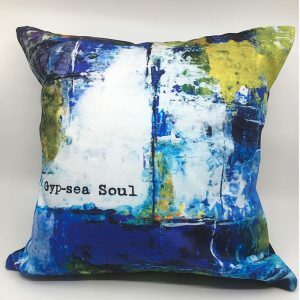 With bright bold colours and soulful collage, the fabric is pre-washed, then printed using eco friendly water-based reactive and acid inks that permanently penetrate the fibers making them fade resistant.